Many of our members have a special interest in wine as collectors, producers, and those learning more about wine or other crafted beverages. To accommodate those members, the Société Mondiale du Vin (“Mondiale”) was created to promote the enjoyment, knowledge and understanding of fine wines and crafted beverages. Only members in good standing of the Chaîne des Rôtisseurs may be members of Mondiale. 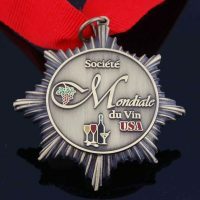 A person — professionally involved in the wine and spirits industry or an amateur connoisseur with special interest and knowledge of wine and crafted spirits — seeking membership in the Société Mondiale du Vin, must complete an application and have his or her Bailli approve of the application and process it through the National Office. The framework of Société Mondiale du Vin provides for professional and amateur participation, with one of its goals being to provide help, encouragement and support for the young professionals who are to be the best sommeliers of the future. The Chaîne conducts each year a competition to find the best young sommelier in the United States with the winner of that competition then participating in the international competition.The United States winner of the 2016 Competition was Martin Sheehan-Stross. Martin then went on to win the 2016 International Young Sommelier Competiion which took place in Vaduz, Liechtenstein in August. The Chaîne Foundation raises money each year that is distributed in the form of scholarships not only for young chefs, but also for young aspiring professionals in the oenological field and has raised and given away more than $4,000,000 since its inception. The Chaîne des Rôtisseur’s Best Young Sommeliers Competition is entering its 17th year as the oldest such national competition in America. We have much to celebrate! Each year the competitors and the quality of the competition have improved. The knowledge and service skills available to American restaurant patrons in selecting the perfect wine to pair with their meal have never been greater. Mondiale members can attend the finals of the Chaîne Young Sommeliers Competition which have been extremely popular with attending members in past years. We’re also continuing our new tradition of providing exceptional wine education opportunities with wine tastings led by Master Sommeliers, Masters of Wine, and prominent vintners. 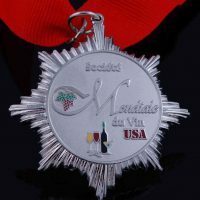 The 2019 Société Mondiale du Vin National Weekend and Young Sommeliers Competition Finals will be held in Napa, CA April 24-27, 2019. Our host property, Westin Verasa Napa blending downtown convenience with a resort-like setting on the Napa River, The Westin Verasa Napa offers travelers a boutique destination from which to confidently explore Napa Valley. Situated steps away from local attractions like world-class wineries, the Oxbow Public Market and more, our well-placed hotel is the ideal starting point for a Napa Valley adventure. The Grand Echanson plans and directs a National Mondiale event each year. It includes multi-course dinners with wine paired with each course and other special and educational tasting events. Below are some examples of local and regional events. Each member of the Chaîne des Rôtisseurs is awarded an appropriate ribbon, denoting rank, when he or she is inducted or promoted. Chaîne members are proud of their ribbons, enjoy wearing them and should wear their ribbons at all Chaîne events unless noted. 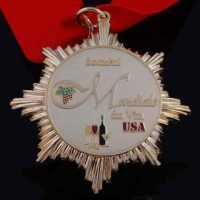 May be awarded by a Bailli to a deserving Société Mondiale Member of their bailliage once a year. May be awarded by a Bailli Provincial to a deserving Société Mondiale Member in their region. May be awarded by the Bailli Délégué to a deserving Société Mondiale Member. Easily acquired, high quality wines at very favorable prices for Bailliages and individual members. 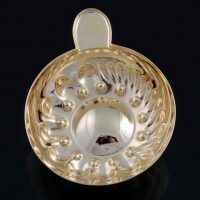 Our partners provide us with a variety of ways to obtain unique and sometimes rare products. Partner products include a variety of wine purchasing programs, educational opportunities, touring benefits and wine paraphernalia. Channels include retail (traditional, non-traditional and on-line), winery direct offerings, special winery access, education, auction, storage and strategies that help boost your Bailliage’s ability to afford high quality products. Keep in mind that local laws will dictate which partner offers you can take advantage of – an important reason to consider a variety of options.